Part of the “Amazing Stories” series, The Halifax Explosion details the events of 6 December 1917 when the detonation of a munitions ship killed nearly 2000 people, injured a further 9000, and leveled whole sections of that maritime port. 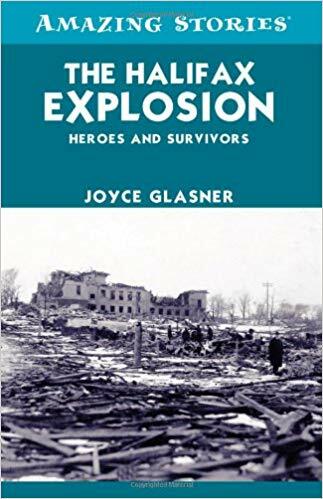 Glasner has chosen to focus on personal stories from this event and the book offers glimpses into the effect the explosion had on various communities. For example, we learn of the fate of the small Mi’kmaq settelement of Turtle Grove which simply ceased to exist. This is a good book. Glasner writes well, she has assembled pertinent illustrations to accompany the text, crafted a useful index, and the work generally focuses on people and events that will captivate younger readers (there is a whole chapter on emergency enucleations done to save the sight of hundreds of unfortunate people whose eyes “were stuffed with pieces of glass or sometimes crockery”). That said, the publication would have benefitted from a proper series of maps for those unfamiliar with the area and there are some minor historical issues (Niobe was really the second ship in Canada’s small navy back then, the Rainbow—famous for its role in the Kamagata Maru incident—was actually first). 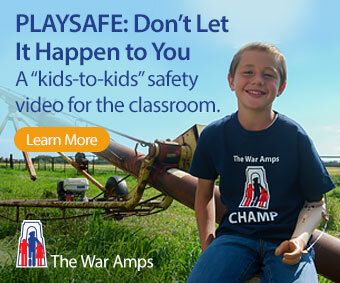 Classroom Connections: The publisher’s website suggests the “Amazing Stories” series is aimed at the 11 to 14 age group. However, it would also be a suitable resource for high school students studying the impact of war on the homefront (for example, the Social Studies grade 11 curriculum in British Columbia and Ontario’s Grade 10 Canadian History Since World War I both include this topic as a potential achievement indicator/specific expectation). Students could formulate factual questions (e.g., What were the consequences of the Halifax Explosion?) and then utilize this work to help uncover both short and long-term results.